Gandhinagar completes 48 years of its establishment and will be entering in the 49th year today. 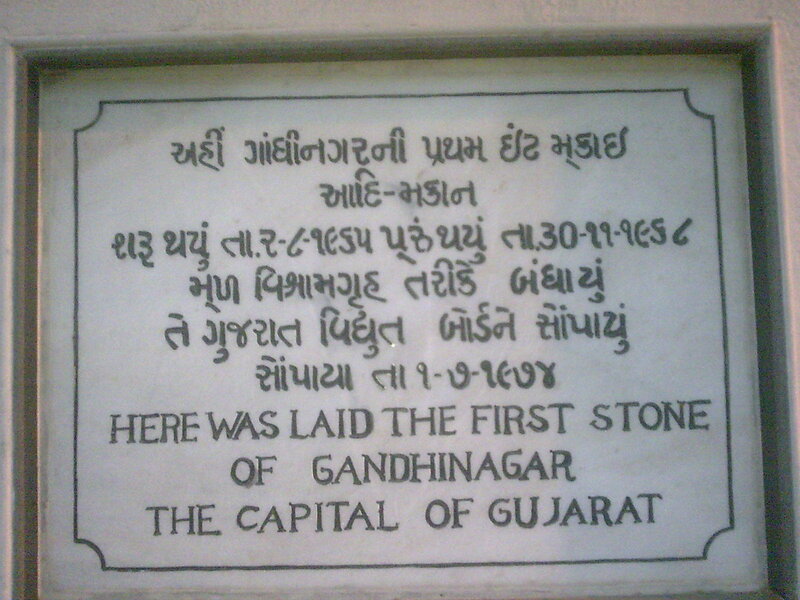 On 2nd of August, 1965, the first stone of Gandhinagar was laid. Built on the lines of Chandigarh by two Indian Town Planners, Prakash Apte and H. K. Mewada, Gandhinagar has developed and prospered in many ways after it was proposed as the capital of Gujarat. I first visited Gandhinagar when I was studying in school and played badminton. I played my first Open Gujarat Badminton tournament here in Gandhinagar. And then, almost after 10 years, I again visited it with Jatin Sir. At that time, I really liked the beautiful, serene and greenest city of Gujarat, Gandhinagar. And now, when I am staying in Gandhinagar since 1 year, I have always liked it. Be the well maintained roads, the quite surroundings, the gardens or the amenities that the government provides, I've no complaints till now. Here are two rare clicks of Gandhinagar that I found on the Internet.